The consumer shift towards green living has awakened an increasing number of companies on the importance of green packaging This resulted to global brands – including the likes of McDonald’s, Walmart, Nike and Coca-Cola among many others – embracing green business practices to reduce their negative impact on the environment. Although these eco-friendly initiatives are primarily focused in addressing the alarming environmental concerns, they also come with several benefits on the businesses’ end. These include helping the companies build a green reputation and as a result, earn the approval of like-minded consumers. In the push towards a healthier environment, more and more companies continue integrating green practices in their functions. And as a business, what better step to take than to follow those initiatives? 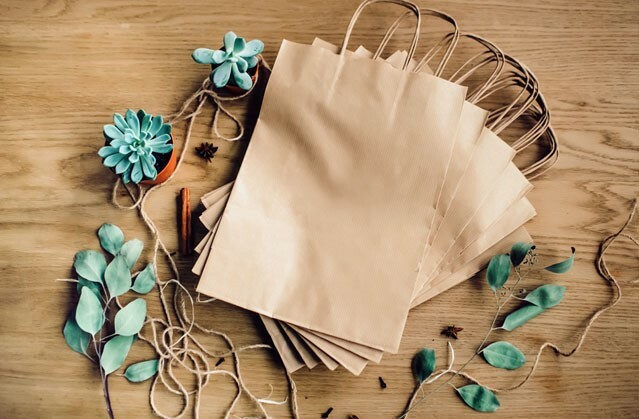 If you’re still clueless on how to make your business green, the easiest way would be to come up with more eco-friendly packaging alternatives. Fortunately, options abound for those seeking to implement more sustainable packaging practices. If you are a business looking to embrace eco-friendly practices, these packaging methods will help reduce your carbon footprint. Reuse – look for opportunities, where it makes sense, to introduce reusable packaging. In 2010, KFC released its reusable sides containers that are promoted as being reusable and microwave-safe. Reduce – eliminate, where possible, the layers of wrappings you use in your product. Additionally, you can also revolutionize your products to accommodate sustainable packaging. A great example of this is the packaging-free shampoo bars from LUSH. Recycle: increase the proportion of packaging from recycled and recyclable materials so it can be repurposed at the end of its use. Although it may not work with all products, you can consider unique and innovative materials with your packaging. A prime example of this is the Clever Little Bag by Puma, a reusable shoe bag that helped them save as much as 65% of paper. You can also factor in the use of sustainable materials such as recycled and virgin papers, plant-based packing peanuts and bio-plastics. Soy-based inks are also a greener alternative to petroleum-based inks, as they come from a renewable source and makes recycling paper easier as well. A significant amount of energy is spent from the packaging production down to the logistics. So, streamlining these processes is necessary to reduce energy consumption. One way to effectively do that is by incorporating a space-saving design in your packaging which may be useful for all businesses, for example house moving companies. This initiative not only optimises the delivery of your products, it also helps drive like-minded consumers towards your product, considering it provides better value for their money. Ensuring that your product packaging is eco-friendly not only shows your commitment to the environment, but also reflects consideration to your customers who are demanding for sustainable products and services. As a result, you can be confident that your initiatives will help build your green reputation as a brand. Find out more ways on how you can switch to an eco-friendly business with Green Courier, a leading courier company in London, providing environment-conscious delivery services across the UK. 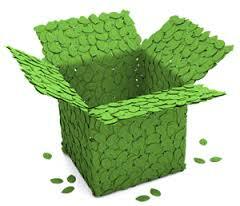 Green Courier is an environmentally friendly courier service in the United Kingdom. Being the leading Carbon Balanced supplier in the rapid dispatch industry, the company is committed in promoting sustainable solutions for the market and is always looking for ways to reduce its impact on the environment. Micah de Jesus is the SEO Director of Growthscout SEO Services, a digital marketing firm in Quezon City that caters to the online marketing needs of clients in a range of industry, including public relations, marketing, logistics and more.